Traffic Ticket Solutions Law Firm: Did You Know...? I thought it would be fun to start a section in the Traffic Ticket Solutions Blog called "Did you know...?" This is where we will post random facts and traffic ticket laws that are funny, obsured or downright weird! 173. 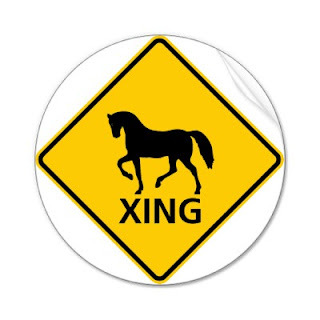 No person shall race or drive furiously any horse or other animal on a highway. R.S.O. 1990, c. H.8, s. 173. "or any other animal"? The first picture that came to mind was man "furiously" driving an ostrich down the road!